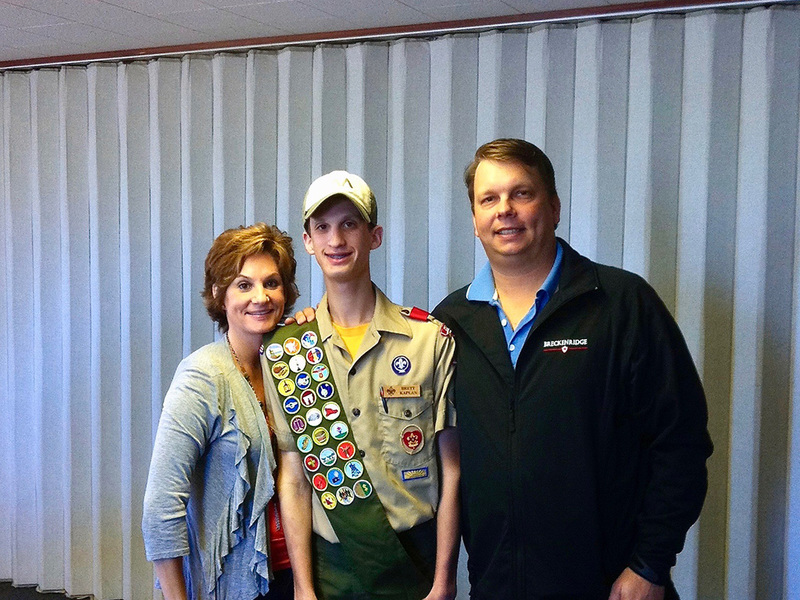 Brett’s path to Eagle Scout began when I met my current husband, Carl Schwarz. 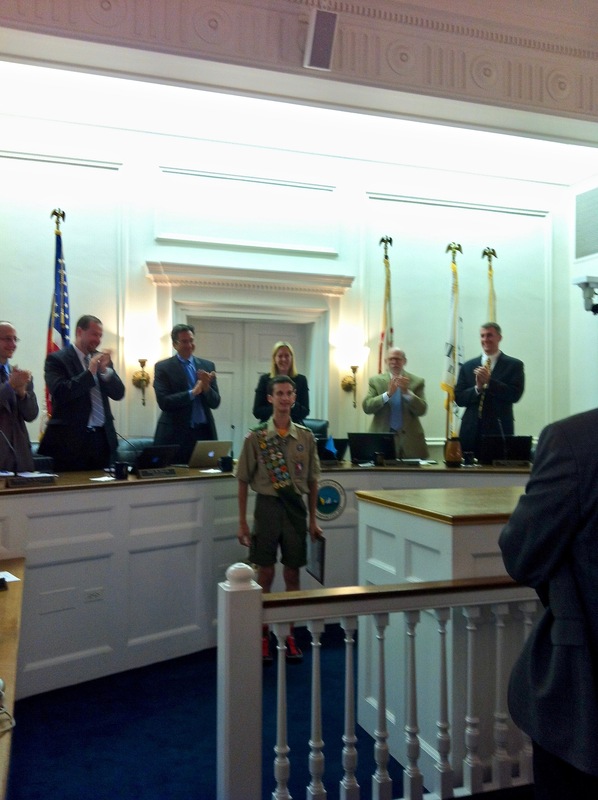 Carl is an Eagle Scout and wanted Brett to participate in scouting. Carl knew that scouting was a great experience and I trusted that Carl would find the right troop for Brett. With a stroke of luck, they found a tremendous leader, Scout Master Mr. Chris Fardoux at Troop 150. By coincidence, it was the same troop that Carl was in when he was in Boy Scouts. Brett joined, Carl became an Assistant Scout Master, and they were camping 3 weeks later! Boy Scouts is a boy-lead program and immediately, Brett looked up to the older boys in the troop. The Scout Master encouraged Brett to participate and join in the activities. He was patient and helpful and willing to give Brett the extra attention he required. Every week, Brett would learn new outdoor skills. With the troop’s support, Brett learned the skills necessary to advance through the ranks. The following summer, our troop attended our council’s summer camp called MAKAJAWAN. I was the MAKAJAWAN coordinator and became very involved in the troop. MAKAJAWAN is 1600 acres of woods, lakes, fields, scouting activities, and opportunities to get merit badges. After that first summer, Carl, Brett and I spent one to two weeks every summer up at camp with the troop. As Brett became more comfortable, the less Carl and I worked with him. It was such a supportive environment and the merit badge counselors were amazing and helped Brett every day. I really believe that the counselors learned as much from Brett as he did from them! After learning how to do many of the activities, Brett fell in love with the Shooting Sports range. He worked extremely hard to get his rifle shooting merit badge. It took Brett three summers to qualify, but he persevered and got it. Brett was determined and her got most of his merit badges up at camp. Brett spent seven summer sessions up at camp, and even went back up after he turned 18 years old for a few days as an adult leader. 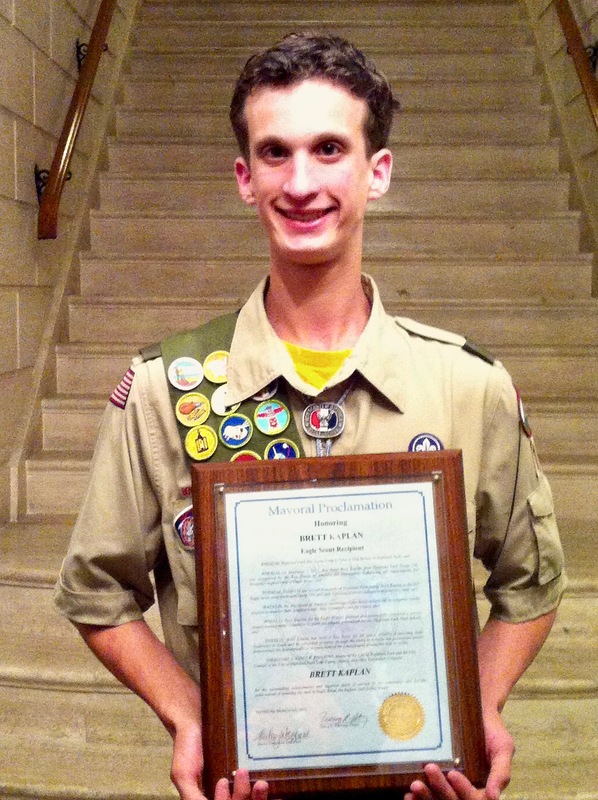 Over the years, Brett saw a lot of the older boys becoming Eagle Scouts and decided he wanted to get his Eagle Rank, too. Carl explained the process and Brett said, “Let’s do it”. Everything wasn’t smooth sailing and Brett encountered some obstacles. After Brett decided that he wanted to continue in scouting and get his Eagle Rank, the highest rank the Boy Scouts can achieve, we realized that there were some required merit badges that Brett would never be able to get because some of the requirements were just too difficult for him. The cool thing was that Boy Scouts offered an alternative path for special needs scouts. We worked with both our troop leaders and local council and got the Alternative Path approved. This path consisted of Alternative merit badges in replacement of the standard badges. Brett replaced only four of the specific twenty-one Eagle Rank required merit badges. The principal said, “There is your project Brett! Paint the Gym!” With the help of Carl and I, Brett organized it. After weeks of planning, Brett pulled off an amazing painting project that included 73 participants and 18 gallons of primer and paint. Overall, it was Brett’s project, and he was thrilled with how the gym looked after all his hard work. In order for anyone to get their Eagle rank they need to attend a Board of Review. This board interviews you and looks at all your records. We prepared Brett for the interview for almost two months. Then, Brett had his council board of review and passed with flying colors. Later that June, Brett had an incredible Eagle ceremony, but we made one adjustment: We knew that Brett would be too nervous to give a speech in front of the crowd of people. Instead, we videotaped him doing his speech, put it in his Eagle Scout montage and showed it at the ceremony. It was truly amazing. The montage opened with a message from Brett and showed all his accomplishments, activities, and growth over his seven years of Boy Scouts. At the end of the ceremony, Brett beamed with pride as we pinned the Eagle medal to his uniform. Finding a troop that was open minded, inclusive, and willing to help was essential to Brett’s success. Getting involved in the troop was necessary to ensure Brett get the support he needed. Brett is a blessing and although his Fragile X is always present, we never let it stop Brett from soaring like an Eagle! Edye Kaplan-Schwarz has a Masters in Reading, and a BS from the University of Illinois. 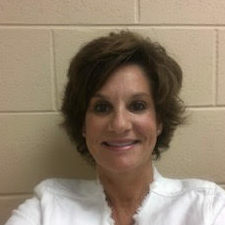 She is an English as a Second Language teacher in Highland Park, Illinois, where she lives with her husband Carl, and son Brett. They have been involved with Fragile X research studies over the past 20 years with Dr. Elizabeth Berry-Kravis, at Rush Medical Center in Chicago. In the summer of 2018, Edye and her husband co-chaired Club Corporation’s Charity Classic, to help fund FRAXA Research Foundation to find effective treatments and ultimately a cure for Fragile X.